Good news! 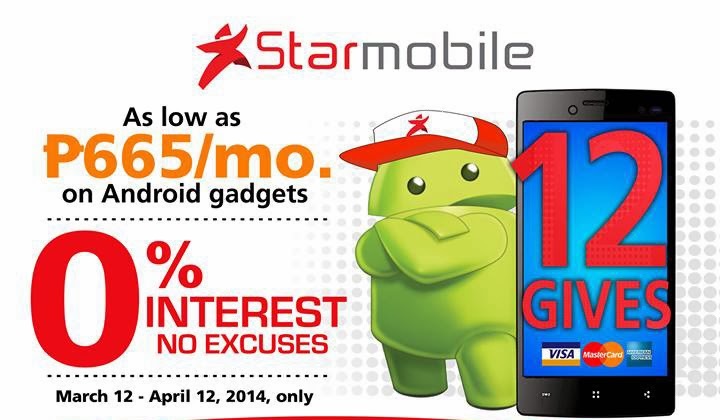 Starmobile recently announced on facebook that are having an installment plan for their android smartphones with 0% interest. You may get the following devices at 0% INTEREST RATE for 12 months using all major credit cards. Starnobile offer 3, 6, 12, and 24 months payment scheme. 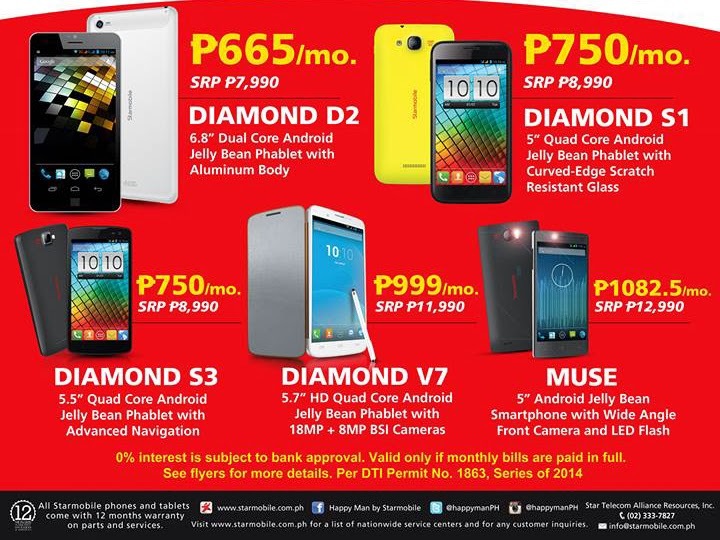 The promo is available in all Starmobile KIOSKs, Concept Stores, and dealers and valid from March 12 - April 12, 2014 .